Please wear suitable footwear and clothes. The tour price includes: Transfers (60 minutes each way), local host, Sami history, mountain hike, light lunch and drinks. 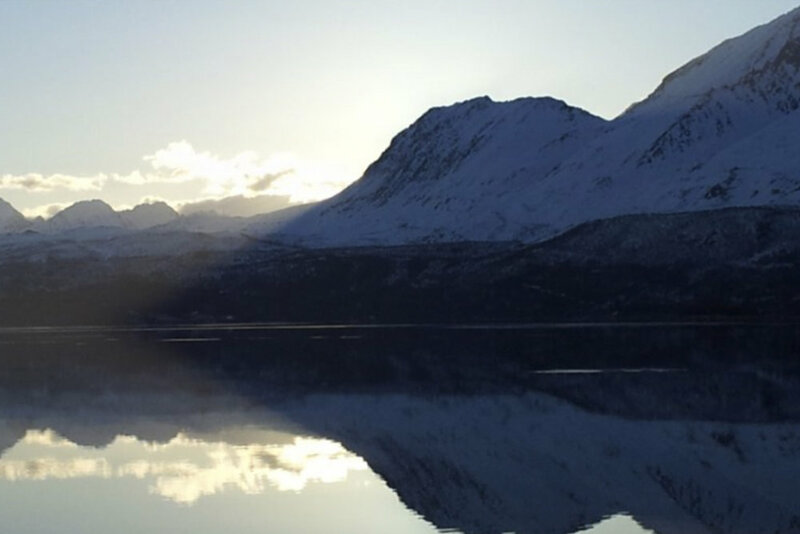 Experience Sami culture and activities at this magical place – near Lyngen Alps. This is our best kept secret!.On arrival at this Arctic gem, we will hike to one of our most beautiful mountain peaks. You will be rewarded with wonderful views of the majestic Lyngen Alps. When we return to our base, we will serve a light lunch and share some Sami history about this place. We will also do some activities together at the Sami camp. Please bring suitable footwear and clothes. The tour price includes: Transport (car/boat), three nights’ accommodation, local host/guide, fishing trip by boat, Sami history, hot tub, mountain hike, snacks and dinner day one, breakfast and lunch on day two. Duration: three days/nights. Start in Tromsø on day one at 15.00 (3pm) and return to Tromsø on day four at 13.00 (1 pm). Do you want to spend three exciting, action-packed days out in this wonderful? If so, this package is for YOU. Experience Lyngen and Ullsfjord between the mountains by car and at sea by boat. The adventure starts in Tromsø one day one at 15.00. You will spend your first day at our best kept secret. On arrival, we will serve some snacks and then set off on a short hike on snowshoes or on foot to the place where the view is perfect. You will see the nature, the majestic Lyngen Alps and our beautiful fjord. After this trip, we go to our Sami camp where we will serve local fish soup in our lavvu (Sami herdsmen’s tent) and share some history from this Coastal Sami area. You are welcome to take a relaxing dip in the outdoor wood-fired hot tub in the evening. Relaxing in the warm water while enjoying the Midnight Sun and the amazing view if an experience you will never forget. You will stay at one with nature, as they did in days gone by – in our lavvu, Arctic dome or cabin. After breakfast on day two, you will travel by boat on the fjord to Nord Lenangen in Lyngen. Fresh shrimps will be served for lunch on board the boat. You will stay there overnight in a comfortable self-catering apartment. We stop at a shop so you can stock up on provisions. Relax around a bonfire on the beach in the evening, and prepare dinner outdoors with your host. On day three, we go deep-sea fishing and you can prepare your catch for dinner. On the fourth day, after three exciting days and nights, we set off on the scenic drive back to Tromsø.